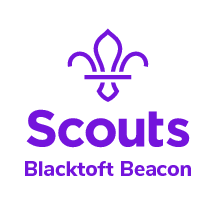 We are excited to announce an exclusive opportunity for Beavers and Cubs in Blacktoft Beacon to sleep over at William’s Den! This will be the first event of it’s kind and we have been working closely with William’s Den to create a programme jam-packed of fun and adventure for our Young People. The cost will be £20 for each Young Person and will include breakfast and making their own pizza for their tea! Leaders will be £5 each, plus an optional extra £5 if they would like to make their own pizza too. William’s Den’s experienced staff will provide and run all activities, you just need to provide the correct adult ratio for the evening – 1:6 for Beavers or 1:8 for Cubs. There are a limited number of places for each date, so we suggest you book early to avoid disappointment!